Coming across my desk just now was the result most of us have been waiting for: the outcome of the Third 2017 LEGO Ideas Review. 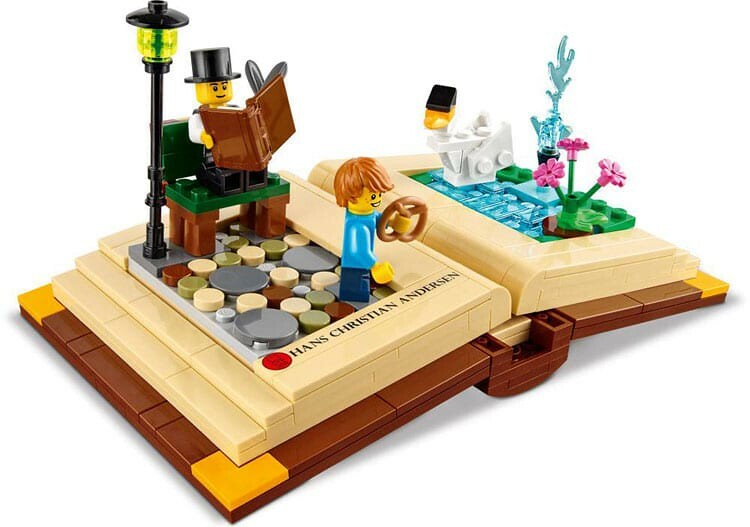 And just as I called in my prediction post, the Pop-Up Book – a collaborative effort by JKBrickworks and Grant_Davis_ – was chosen out of the seven candidates. If you remember the outcome of the previous review: it was mentioned that one project had already been chosen, and decisions were being made on a possible second choice. As you’ll have undoubtedly seen, all six of the other projects were knocked out. I’ve not been keeping as close an eye on the goings-on in the world of LEGO, and as most of you know I don’t condone or pay any attention to leaked information. I couldn’t help noticing – because someone decided to post it in a public space – that this upcoming free-with-purchase set looked a lot like the Pop-Up Book project. It was posted in said space a few weeks ago, so it could only mean one thing: that a larger version (i.e. the Ideas set) would be made available, or it was another stolen appropriated concept. In any case, I don’t have anything to add, except a congratulatory note to both JKBrickworks and Grant_Davis. JKBrickworks has managed to reach the same heights as [whats-her-name], in that they’ve both gotten both a solo and collaborative LEGO Ideas project under their belt. Assisting Farnham Assist – again!